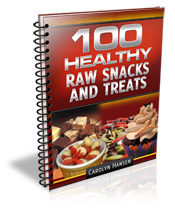 A fitness specialist, Carolyn has published more than 1000 articles on strength training, nutrition, and fat loss, and is the author of two weight loss books, 21 Days To Healthy Eating and Hot Metabolism. 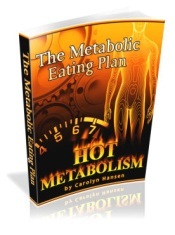 She has devoted more than three decades to the fitness industry, both offline and online, teaching people the simple secrets to getting into better shape, losing weight, and improving health. 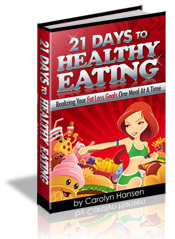 This web site is home for the ebook 21 Days To Healthy Eating: Realizing Your Fat Loss Goals One Meal At A Time, which was written by me, Carolyn Hansen. 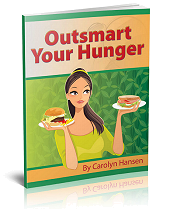 I have added this page for those of you who would like to know a little more about me, and the reason why I took the trouble to put together a book on healthy eating. 21 Days To Healthy Eating is not the only product into which I have invested a good deal of my time and energy, and I am sure that there will be more down the road. The simple fact of the matter is that there is a certain degree of satisfaction I get just from knowing that others can grab one of my books and benefit immediately from the hard won successes I experienced only after years of hard work and countless days of writing off techniques that sounded promising, but which bore no fruit. It is the kind of feeling that I used to get simply by stepping onto the stage.